If you are planning to go surfing in Arugam Bay, this might be your best option as they let you take your surfboard in the bus. 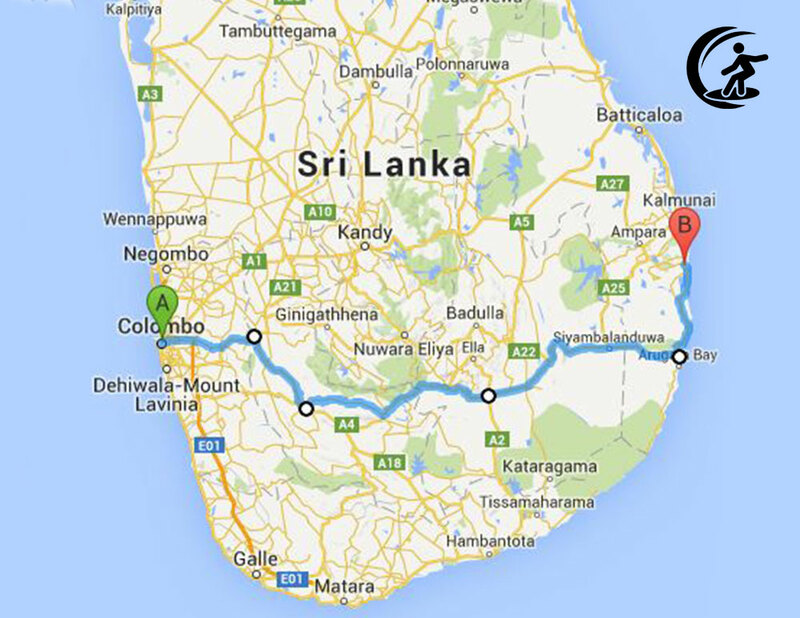 Bus ride from Colombo to Arugam Bay would cost around Rs. 1000 – 1500. To get to Arugam Bay you have to get off in Pottuvil and take a tuk tuk which costs around Rs. 150 one way. Call 0117903086 to book your seats. I need two seats to go to Ampara on 17th November after 11.00PM. How can i do the booking? Hi, is it possible to get on at Uda Walawe or Wellawaya and get off in Arugam Bay? If so, do you know what timings I can get on the bus on a Sunday please? Hi, the direct busses tend to run over night. However you can call +94768541137 and see if they will pick you up along the way. Hi, is it possible to get on in Wellawaya and get off in Arugam Bay? If so, do you know aproximately what the cost would be? I need to go to Kuruwita Junction from colombo. So, i want to know the time when buses are leaving from colombo and whether i can booked seat. IF can, please kind enough to send me the contact number. I need to go to Monaragala. at what time busses leave colombo? Hi, more up to date info at arugambaytraveller.com. cheers!